The desire to restructure and improve the management of Nigeria’s hydrocarbon resources, transform the Nigerian National Petroleum Corporation (NNPC) into a world class national oil company in the mould of Saudi Aramco, Malaysia’s Petronas and Brazil’s Petrobras, as well as increase returns on the country’s investment in the oil and gas sector informed the establishment of the Oil and Gas Reform Implementation Committee (OGIC) 12 years ago. The objective of the committee was to review the operations of the oil and gas sector and its participants, the 16 legislations that governed the industry, and produce a comprehensive legislation that would overhaul the oil and gas industry, re-write Nigeria’s 50-year relationship with the international oil companies (IOCs), and in the process, unlock billions of dollars of delayed investment. From the committee’s work, a new legislation known as the Petroleum Industry Bill (PIB) was drafted. The PIB was first presented to the sixth assembly in 2009, but efforts to pass it were hampered by what industry experts described as political intrigues and wrangling between the National Assembly and the executive. Also, the existence of different versions of the bill was said to have been a major reason why it could not be passed by the National Assembly. This negatively impacted on activities and investment in the sector, as investors channelled their businesses to neighbouring countries such as Angola, Ghana and Burkina Faso with more stable policies. Hopes that the controversial bill will be resuscitated soon emerged on January 19, this year, when the Petroleum Minister, Mrs. Diezani Alison-Madueke, inaugurated a special task force with a mandate to review the various versions of the bill submitted to the National Assembly and produce a new one for representation. The establishment of the task force came barely three days after President Goodluck Jonathan, in a nationwide broadcast, promised to represent the bill to the seventh National Assembly in the first quarter of this year. The task force headed by Senator Udoma Udo Udoma, was directed to work in collaboration with a technical sub-committee headed by the Director General of Department for Petroleum Resources (DPR), Mr. Osten Olorunsola, to produce a clean copy of the bill to be presented to the legislature and to also facilitate its quick passage into law. In another broadcast in May, Jonathan had assured the nation that the latest draft bill put together by the task force would be completed in June and sent to the National Assembly. He had promised to liaise with the legislature to expedite its passage to ensure transparency in the oil and gas sector. And in keeping with his promise, the president on July 11, approved the new PIB which was forwarded to the National Assembly on Wednesday. The PIB, which has been in the works for 12 years, is the amalgamation of 16 laws in the oil and gas sector. The PIB encompasses the legal framework that will define and shape the future of Nigeria’s oil sector. The bill also aims to, among others: create a conducive business environment for petroleum operations; optimise domestic gas supplies, particularly for power generation and industrial development; establish a progressive fiscal framework that encourages further investment in the petroleum industry, while optimising revenues accruing to the government; establish commercially oriented and profit driven oil and gas entities; as well as deregulate and liberalise the downstream petroleum sector. Described as “the Bible for the petroleum industry”, by the Senate President David Mark, the bill, when enacted, will enhance the exploration and exploitation of petroleum resources for the benefit of Nigerian people; create efficient and effective regulatory agencies; promote the development of local content in the petroleum industry; and protect health, safety and the environment in the course of petroleum operations. When enacted, the Petroleum Industry Bill will, in addition to the Ministry of Petroleum Resources, provide for the establishment of nine agencies responsible for the operations of the oil and gas sector. Chika Amanze-Nwachuku and Ejiofor Alike, review the agencies and their functions. The PIB provides for the establishment of nine agencies that will be answerable to the Minister of Petroleum Resources. 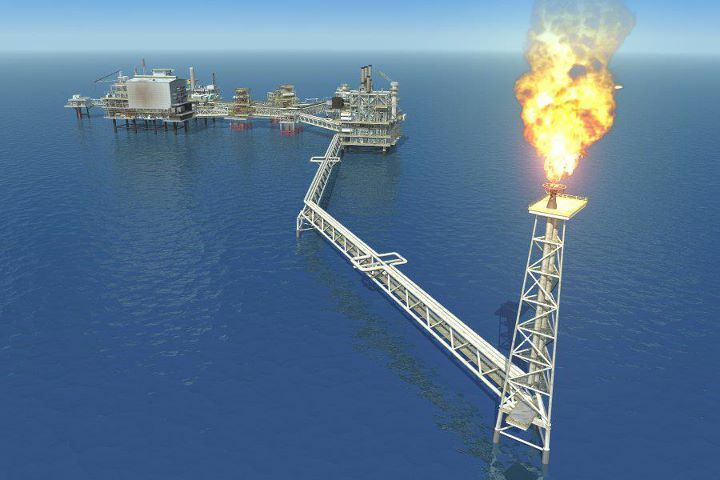 Of the nine, there will be two regulatory agencies – Upstream Petroleum Inspectorate and Downstream Petroleum Regulatory Agency; three funds – Petroleum Technology Development Fund, Petroleum Equalisation Fund, Petroleum Host Community Fund; three companies that will operate under commercial terms – National Oil Company; National Gas Company Plc and National Petroleum Assets Management Company; and a technical and support bureau – Petroleum Technical Bureau. The minister shall be responsible for the co-ordination of the activities of the petroleum industry and shall exercise general supervision over all operations and all institutions in the industry, as well as providing policy oversight. The minister, upon the advice of the Upstream Petroleum Inspectorate, shall grant, amend, renew, extend or revoke upstream petroleum licences and leases and shall upon the advice of the Downstream Petroleum Regulatory Agency, grant, amend, renew, extend or revoke downstream petroleum licences for gas transportation pipeline, gas distribution networks, refineries, Liquefied Natural Gas, Gas –to- Liquid plants, petrochemical plants and gas exports. The Petroleum Technical Bureau (PTB) will serve as a special unit in the office of the petroleum minister. The bureau, will addition to its other duties, carry out the functions of the former Frontiers Exploration Services of the NNPC. The PTB will be responsible for developing exploration strategies and portfolio management for the exploration of unassigned frontier acreages in Nigeria, and will undertake activities to stimulate the interest of local and international oil and gas companies in exploration of the frontiers basins in Nigeria. The Upstream Petroleum Inspectorate (UPI), will be vested with powers to among others: acquire, hold, mortgage, purchase and deal with property, whether movable or immovable, real or personal. The UPL shall also be vested with the assets and liabilities relating to the upstream petroleum sector, which were hitherto vested in the Department of Petroleum Resources (DPR). These include regulating all technical aspects and commercial activities of the upstream sector; promoting the efficient, safe, effective and sustainable infrastructural development of the upstream sector. Also to be established is the Downstream Petroleum Regulatory Agency, which shall be in charge of assets and liabilities relating to the downstream petroleum industry, which was hitherto performed by the DPR and the Petroleum Products Pricing Regulatory Agency (PPPRA). The agency shall, among others, enforce compliance with the terms and conditions of all licences, permits and authorisations issued in respect of downstream petroleum operations. The organisation will derive its fund from grants accruing from multilateral agencies, bilateral institutions and related sources and donations dedicated for capacity building, as well as the outstanding balance of the monetary assets of the PTDF, which was created by the PTD Act of 2004. Section 100 of the PIB also provides for the continued existence of the Petroleum Equalisation Fund (PEF), where any net surplus revenue recovered from petroleum products marketing companies and such sums as may be provided by the Federal Government for the purpose of the equalisation fund shall be paid into. A core function of the PEF will be to hold the equalisation fund in safe custody and in trust, for reimbursement of petroleum products marketing companies suffering loss solely and exclusively as a result of the sale of petroleum products at uniform benchmark prices throughout the country. As part of the measures to involve the oil-producing communities in the joint ownership of oil and gas assets, the PIB provides for the creation of a fund to be known as the Petroleum Host Communities Fund (PHC Fund) to be utilised for the development of the economic and social infrastructure of communities within petroleum producing area. Under Section 118 of the bill, every company that is involved in oil and gas exploration and production is required to remit into the fund on a monthly basis, 10 per cent of its net profit, which the reform bill defined as the adjusted profit minus the Nigerian hydrocarbon tax and minus the companies’ income tax. The National Petroleum Assets Management Corporation, as a body corporate, will operate fully on commercial principles. It shall be responsible for the acquisition and management of investments of the government in the Nigerian upstream petroleum industry. Within three months of the commencement of the Act, the Minister of Petroleum will take necessary steps as stipulated under the Companies and Allied Matters Act to incorporate the National Oil Company (NOC) as a public company to be vested with certain assets and liabilities of the Nigerian National Petroleum Corporation (NNPC). Its shares shall be held by a nominee of the Ministry of Petroleum Resources and Ministry of Finance Incorporated on behalf of the government. Also, not later than three months after the effective date of this Act, the minister shall take such steps as are necessary under the Companies and Allied Matters Act to incorporate the National Gas Company Plc, as a company, limited by shares, which shall be vested with certain asset assets and liabilities of the NNPC. • Petroleum Mining Lease (PML) to search for, win, work, carry away and dispose of petroleum. • Downstream licensing which shall be carried out by the Downstream Petroleum Regulatory Agency. Section 190 of the PIB provides guidelines for the award of the licences, stipulating in Subsection (3) that there shall be no discretionary awards, except as provided under Section 191, which deals with the powers of the president to grant licences and leases in special circumstances. According to Section 191, “Notwithstanding the provisions of Subsection (3) of Section 190 or any other provision of this Act, the President shall have the power to grant a licence or lease under this Act”. Section 201 provides for gas flaring penalties, and also provides in Subsection (1) that the lessee shall pay such gas flaring penalties as the minister may determine from time to time. Subsection (2) requires the lessee to “install all such measurement equipment as ordered by the Inspectorate to properly measure the amount of gas being flared.” Section 277, meanwhile, provides for the prohibition of gas flaring. Section 221 of the bill provides for the full deregulation of the downstream oil sector and stipulates that the pricing of petroleum products in the downstream product sector shall be deregulated to ensure: a) market related pricings; b) adequate supply of petroleum products; c) removal of economic distortions; and d) the creation of fair market value for petroleum products in the Nigerian economy.